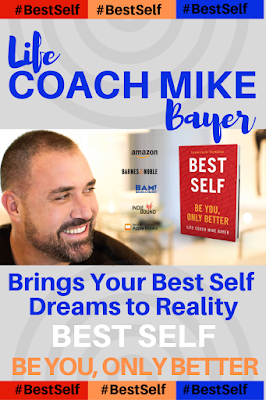 Sometimes you'll win, sometimes you'll lose! Especially when I'm playing the game- sorry! Game days are without a doubt some of the most hilarious moments in our home. We can take a simple game of Solitaire into a hysterical scene with the addition of our own house rules. Enjoying quality time together as a family playing both competitive and non-competitive games make for sensational memories. 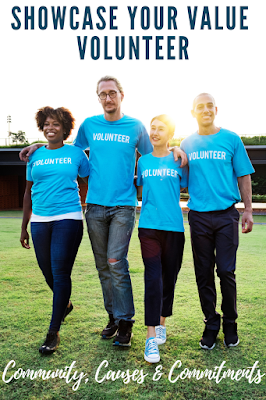 Our collection of games and activities is continually growing, what's most important is the time spent bonding without (or with minimal) influence from technology. 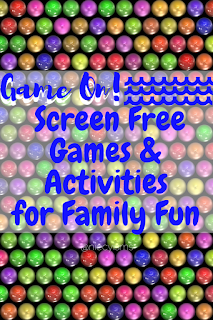 Often tech-free fun is a challenge for many families. 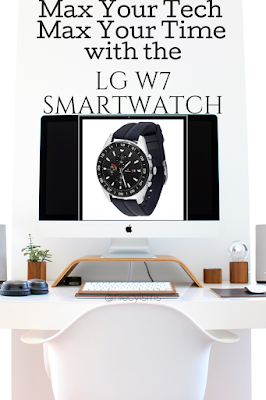 Well, game on! 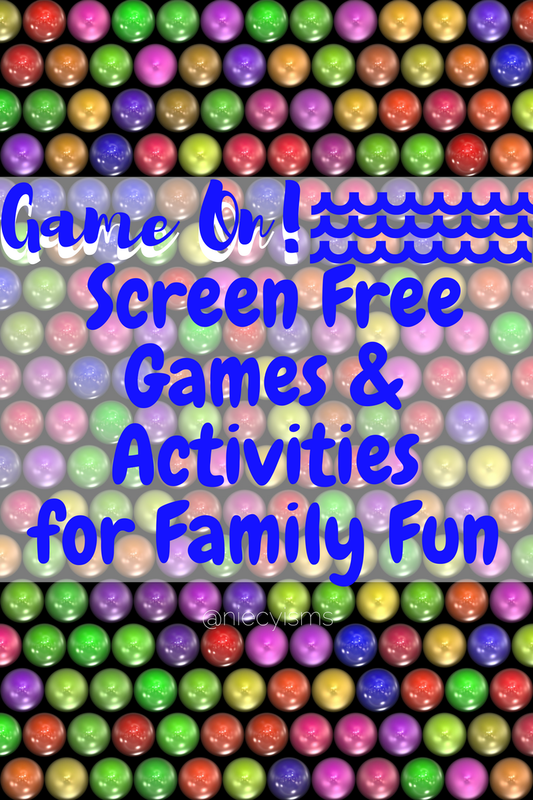 Here are some of our fave screen-free games and activities for family fun. Thank you to Goliath Games and their promotional team for the courtesy of providing review products for editorial content purposes. "Fish Food is the FINtastic game with the smart fish that knows how to play!" 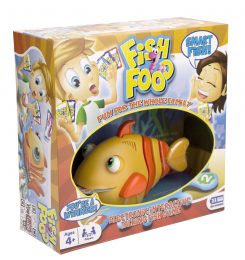 Excellent as a lively, non-reading, hand-eye coordination developing game, playing Fish food is simple. If the fish lands on you, it's your turn to feed him one of your cards. Now the game becomes a little fishy! As the fish spins around, he may chose to spit your card or an opponent's card back to you or another player. The goal is to feed the fish all of your cards in order to win the game. Most amazing is the fact that the fish knows who the winner is and announces the winner at the end of the game. Ideal for 2 to 4 players, from ages 4 and up, Fish Food is a quick, entertaining game with an advanced level of play that the whole family will enjoy playing. "Line them up and watch them tumble!" Watching dominoes fall is so entertaining, I never actually learned how to play the game of Dominoes. Playing Domino Rally helps kids develop and refine fine motor skills, planning skills, and imagination, through the process of designing their own engineered creations to race in this open-ended STEAM/STEM learning activity. 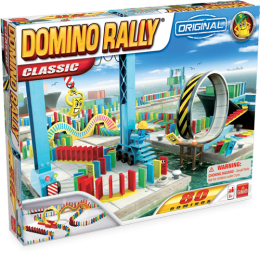 Forget about traditional domino sets, Domino Rally featured colorful dominoes, speedy domino tracks, exciting stunt additions, and illustrated assembly instructions. Race to the finish playing Domino Rally alone or with friends from age 6 and up. "When you cast it, blast it with the Rocket Fishing Rod, the kids fishing rod that accurately casts its line up to 30 feet." Developing the coordination required to master casting standard fishing lines is an acquired skill for kids of all ages. Swooping in like a pro is easier than ever with Rocket Fishing Rod, simply pump, launch and reel in those fish. Cleverly equipped with a safety bobber keeping the fishing hook enclosed until making contact with water, serves to eliminate the likelihood of snarls and snags with the Rocket Fishing Rod. As the bobber hits the water, the sectioned lure/bait compartment will open to drop the lure or bait into the water. Constructed with precision engineering designed for the challenges of outdoor fun with kid in mind, the patented design is ready for (fishing) action. 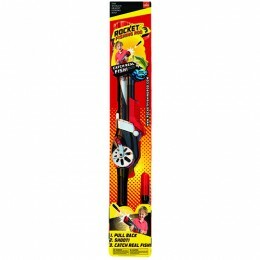 Proving to be a family favorite, the Rocket Fishing Rod System includes the Rocket Fishing Rod, 1 Safety Bobber, 2 hooks, 150 feet of fishing line, 2 line stops, 1 weight and product instructions. Highly recommended for fishing adventure with kids ages 8 and above with adult supervision and proper water safety gear.